Dance Please! 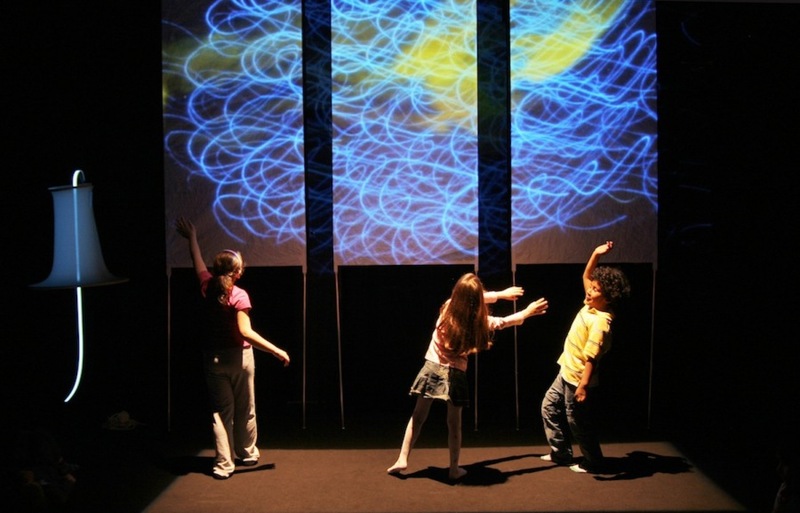 an interactive playground of movement, light and sound. Come inside a digital world of magical animations and spectacular sounds created by Italy’s leading children’s theatre Company TPO. In Dance Please! 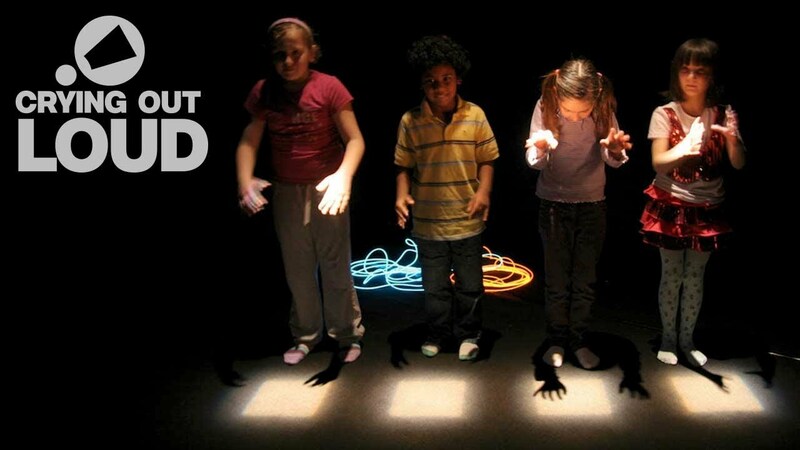 you can re-mix rhythms and make new sounds by dipping your hand under the light. Splash virtual colour across the room by shaking your body or throw wild shapes by wiggling a finger. Move, play and take part in a unique performance with TPO’s award winning technology in a new collaboration with British choreographer Tom Dale. Dance Please! is directed by Davide Venturini and Francesco Gandi, Company TPO collaborate with international artists using digital technology, animation, design, dance and sound to create interactive theatre for children. 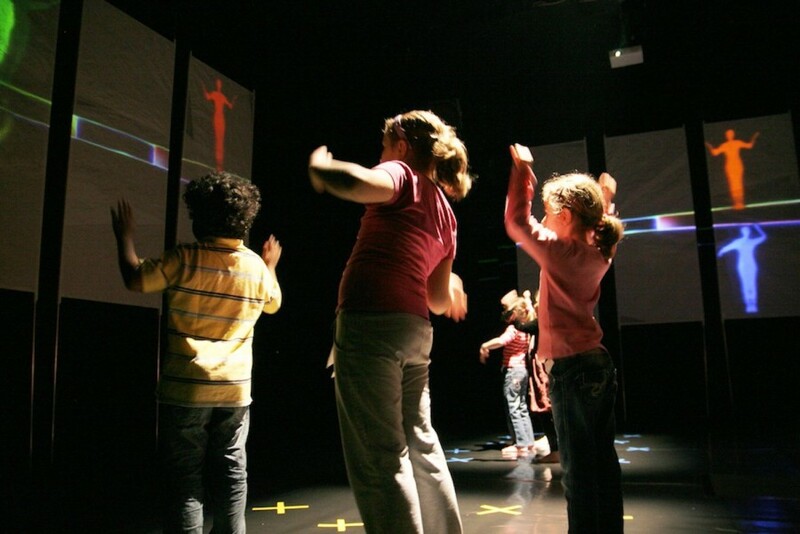 The CCC (the Children’s Cheering Carpet), TPO’s touch-sensitive carpet that uses movement to trigger images and sound, was awarded the Ade Art Digital Era prize in 2004. Dance Please! toured the UK in October and November 2011 to Luton’s Hat Factory, Baltic Centre for Contemporary Art as part of Juice Festival, the egg Theatre Royal Bath, London’s Chats Palace and the University of Hertfordshire. Co-commissioned by Juice – Newcastle Gateshead’s festival for children and young people, BALTIC Centre for Contemporary Art, THEATRE IS… and Crying Out Loud. 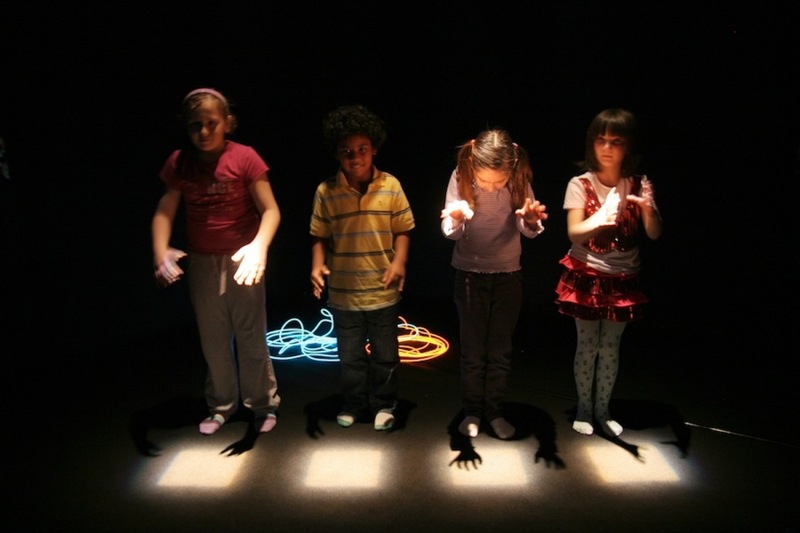 Autism friendly performances are supported by City Bridge Trust and The Goldsmiths’ Company.